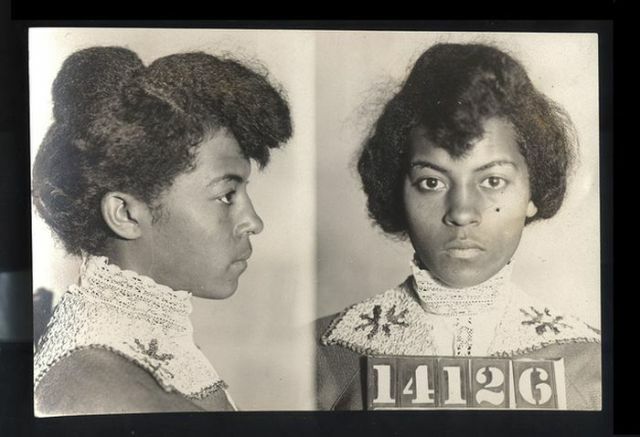 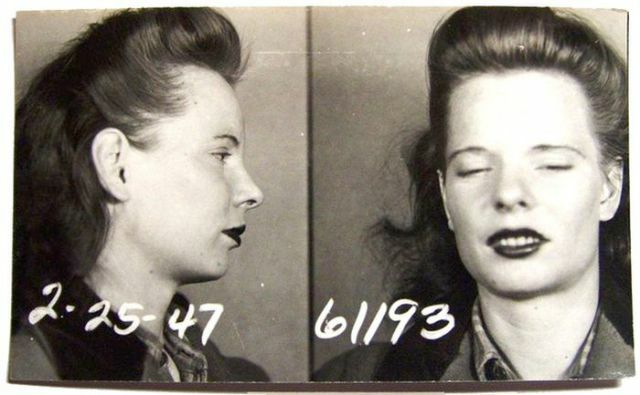 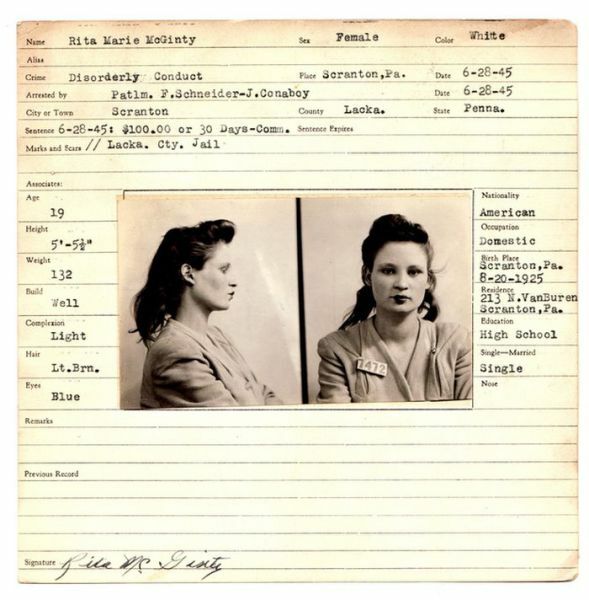 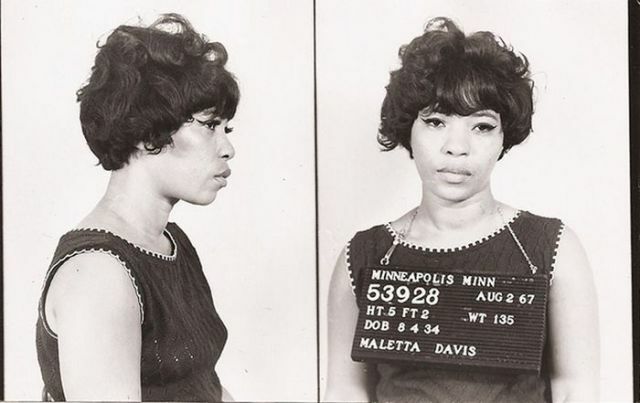 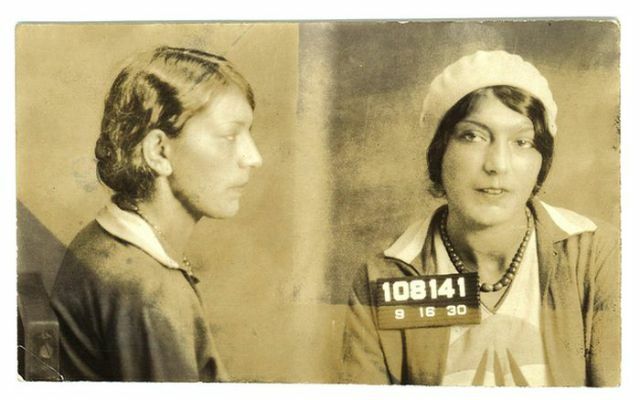 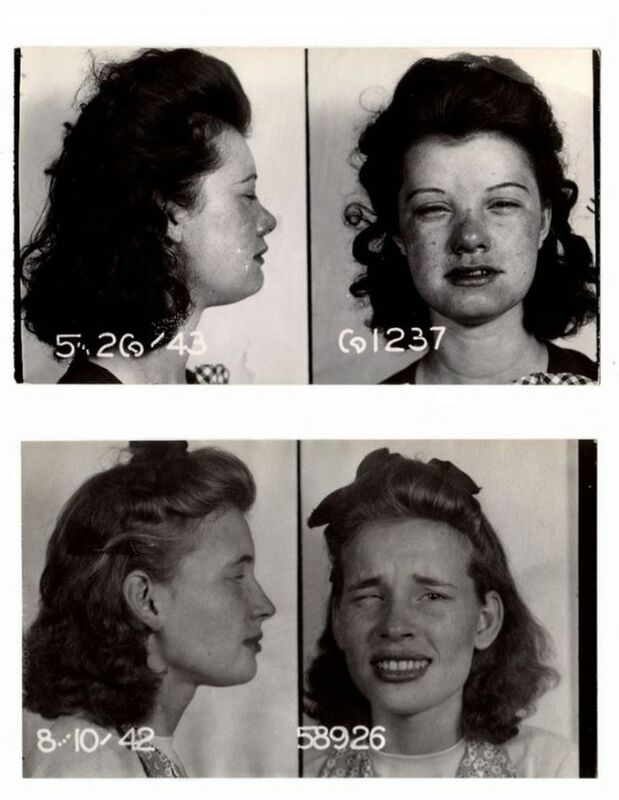 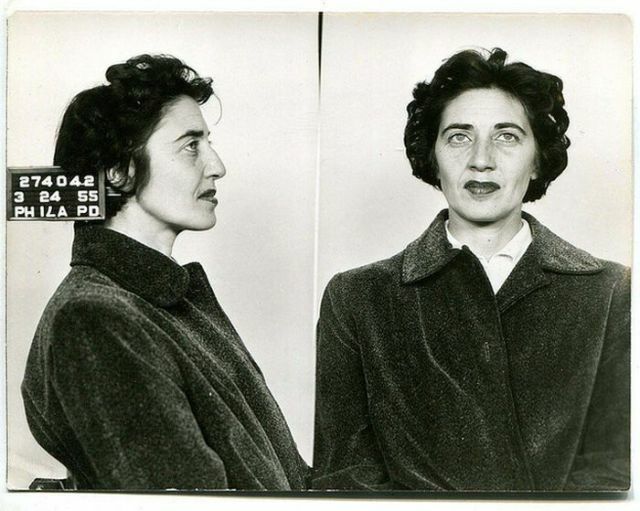 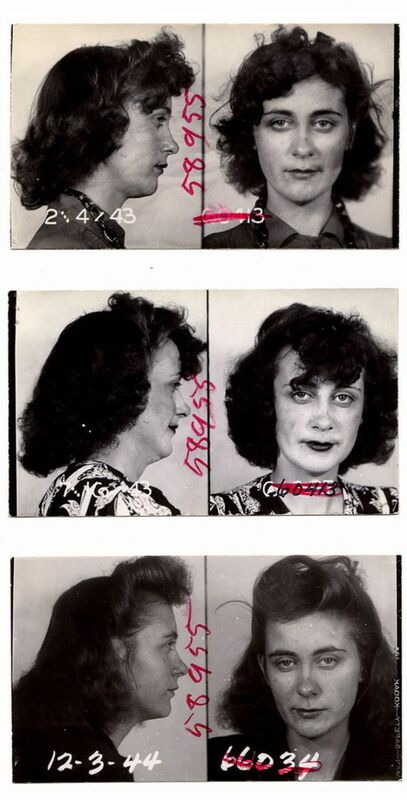 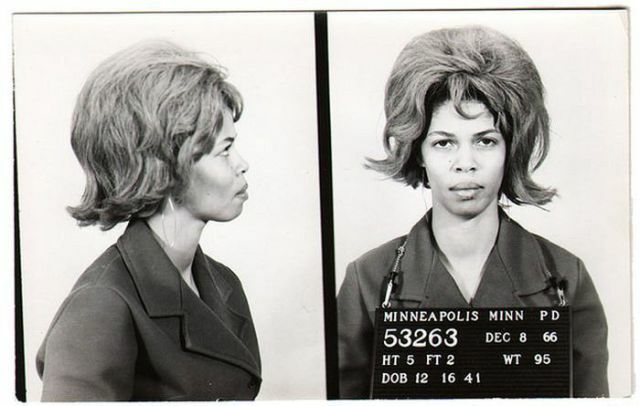 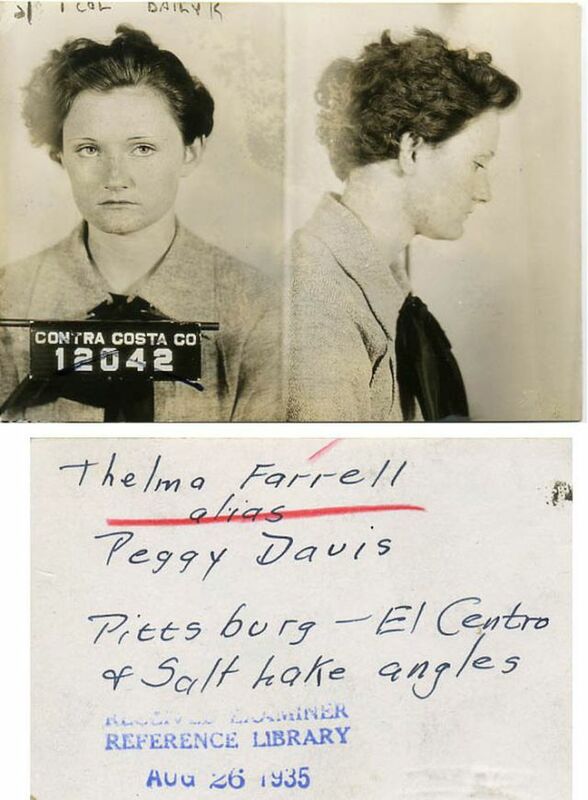 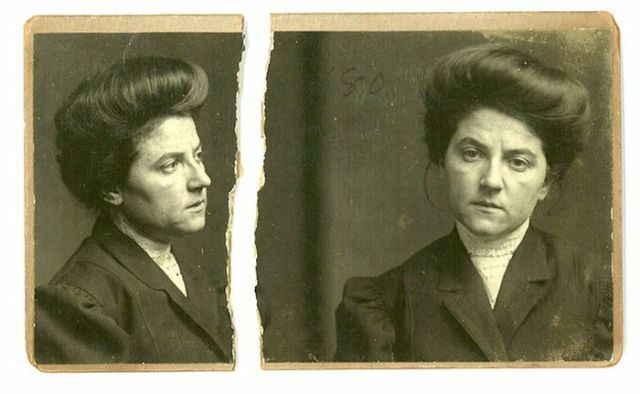 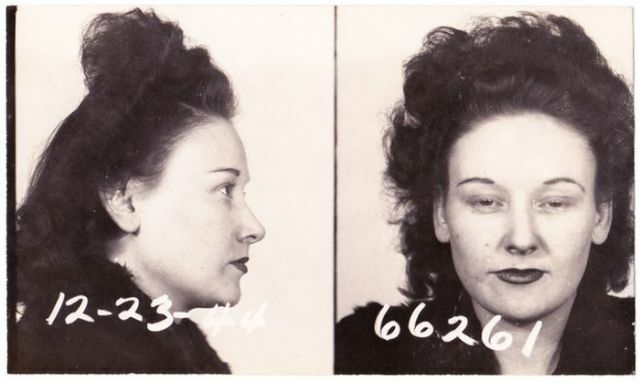 Bad babes in the past used to have style – just look at the gorgeous hairdos they wear on these mugshots. 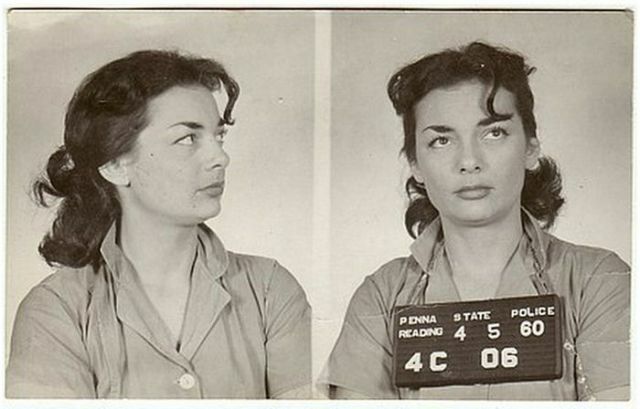 I couldnt find to many of the others for sure but here is the one I could find. 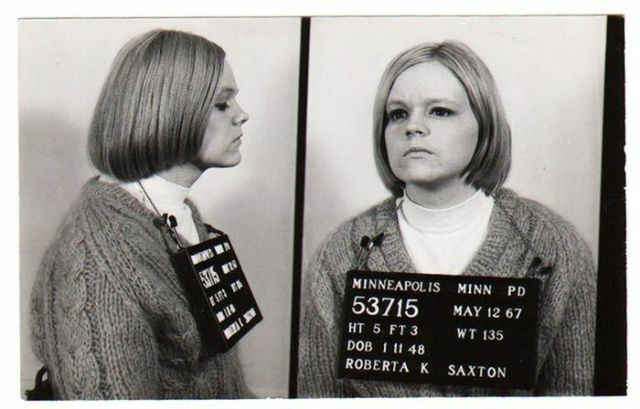 Rita Marie McGinty, I guess she cleaned up an turned out not to be a tough chick at the end. 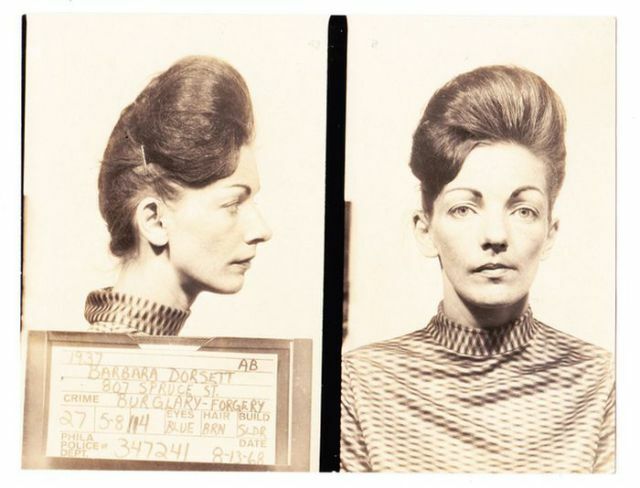 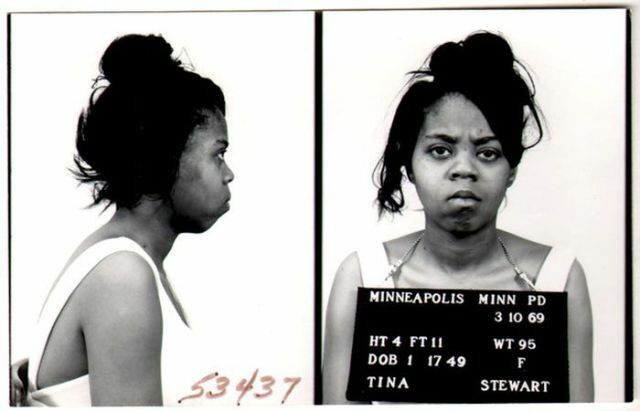 the first one is not the same woman...the mugshot says she was born 8/20/25 and states she was single, not married indicating that McGinty is her maiden name. 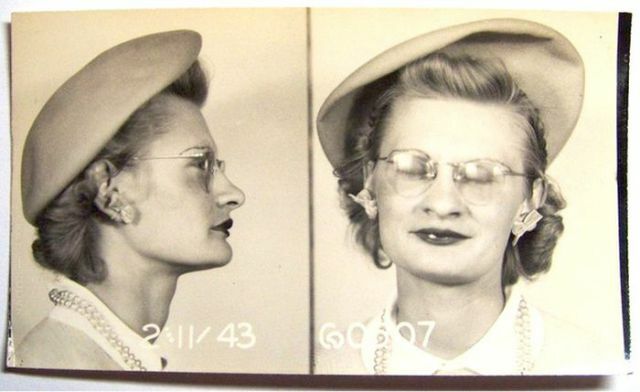 In the obit that you linked, her birthdate is 12/1/29 and her maiden name was Mullany. 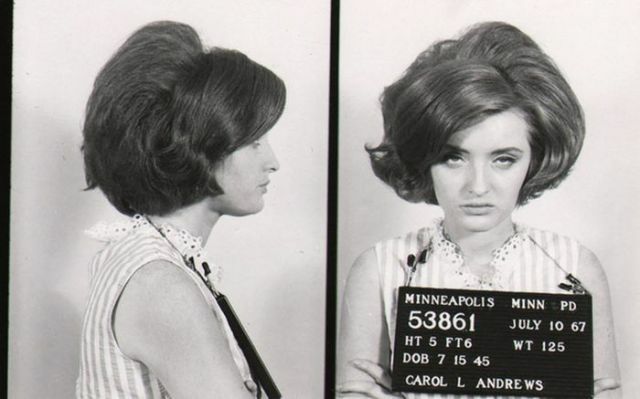 According her her obituary, she was married to her husband for 45 years putting their wedding year at 1964, almost 19 years after this picture was taken. 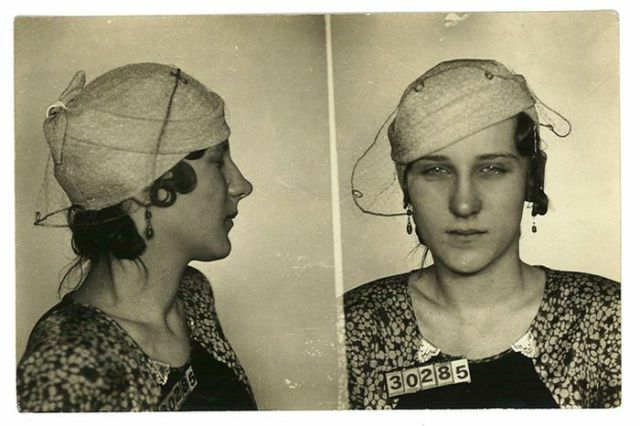 Women had more style and class in general back then. 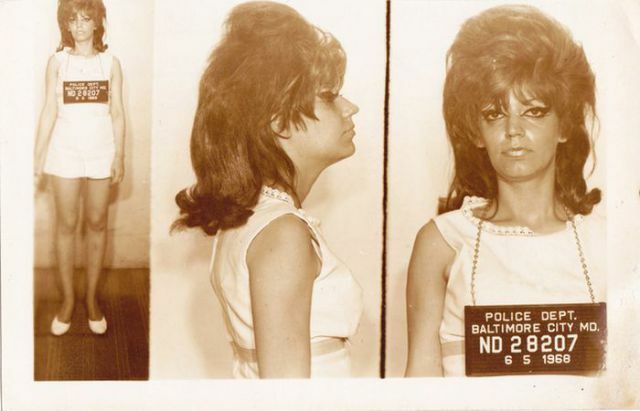 Of course so did guys. 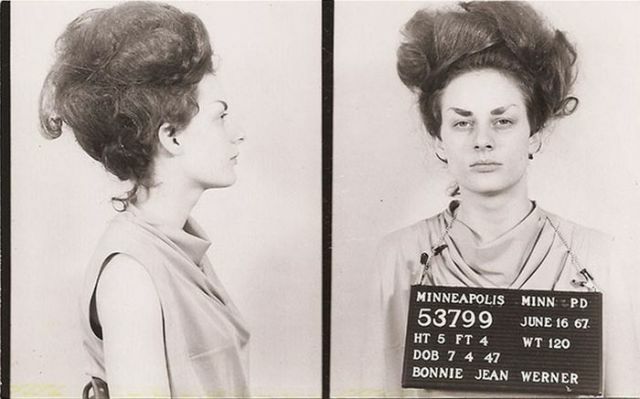 1967: Bonnie Jean Werner was arrested and charged with animal cruelty after an eyebrow mishap inspired her to staple live tadpoles to her forehead. 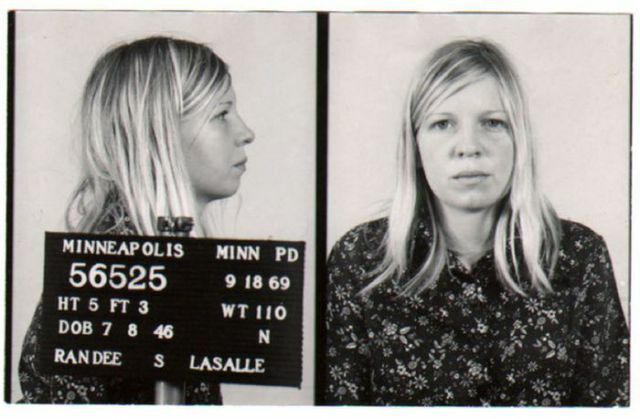 Her unwitting accomplice, Sharon A. Lipke was charged with possession of frog spawn with the intent to sell it for cosmetic purposes.